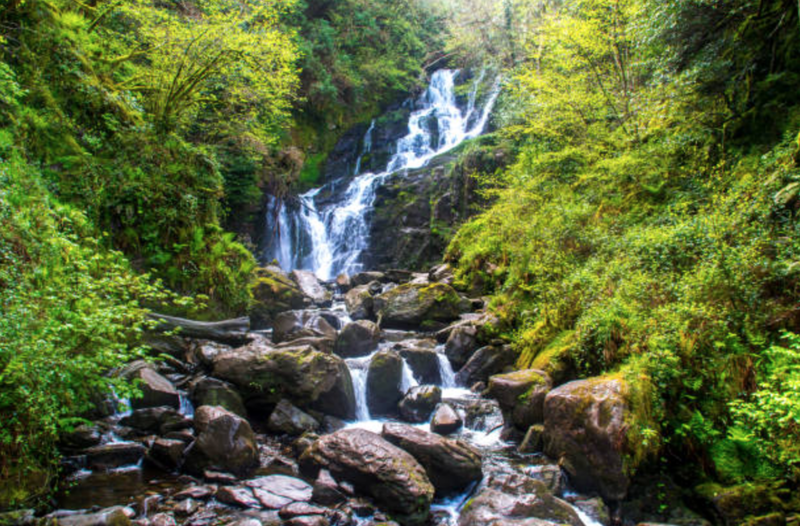 Discover Ireland’s hidden gems! Take the hassle out of trying to find your way around, be driven in comfort and style and at your own pace. Whether you are seeking to organise a luxury small group tour, or whether you are looking for private arrangements, we will ensure that you spend the most memorable time while in Ireland. You can find below some of our suggested one day tours but this service can be completely tailored to your needs. Please get in touch and we will schedule a call to discuss your preferences and create a custom tour just for you. Our tours are tailor made to suit your individual wishes. They can be 4, 6 or 8 hours, or longer upon request. Below is just a sample of our Wicklow tour, but remember every tour is unique and can be tailored to suit your needs and time restrictions. Start your day by taking the coast road south out of Dublin passing through the port of Dun Laoghaire and then through Sandycove, home of the James Joyce Martello Tower and Museum open to the public. Then on through the picturesque village of Dalkey and the Vico Road, home to many celebrities such as Bono, Enya and Van Morrison to name but a few. We then enter County Wicklow, the “Garden of Ireland”. Our first stop is the magnificent Powerscourt Estate, noted for its house and gardens. Powerscourt House was voted in the top 10 houses by National Geographic and the gardens were voted in the top 3 gardens by National Geographic. Currently owned by the iconic Slazenger family, the estate dates back to the 13th century. In 1974, the house was gutted by a fire. By 1996, it was partially restored to its original glory and is now open to the public along with the breath-taking gardens. It is recognised as one of Ireland’s top spots to visit. From there we head through the rolling hills and valleys of Wicklow to Glendalough’s “Valley of 2 Lakes”, home of St. Kevin. In the lower glen, you will find the ancient monastic city built by the followers of St. Kevin and see the remains of the Cathedral, round Tower and St. Kevin’s Church, as well as the graveyard and various dwellings. We head back to Dublin via the Military Road through the Wicklow and Dublin Mountains. As you pass through the bog lands known as the Feather Beds you will see Loch Dan and Loch Tay, and the famous Guinness estate.